Onion Hylander F.1 hybrid seed. A spring sown type onion. 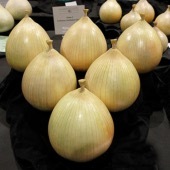 Onion Hylander F.1 hybrid is a round globe shaped onion with skins that do not split easily. One for the kitchen and the show bench. Hylander has a high resistance to downy mildew. 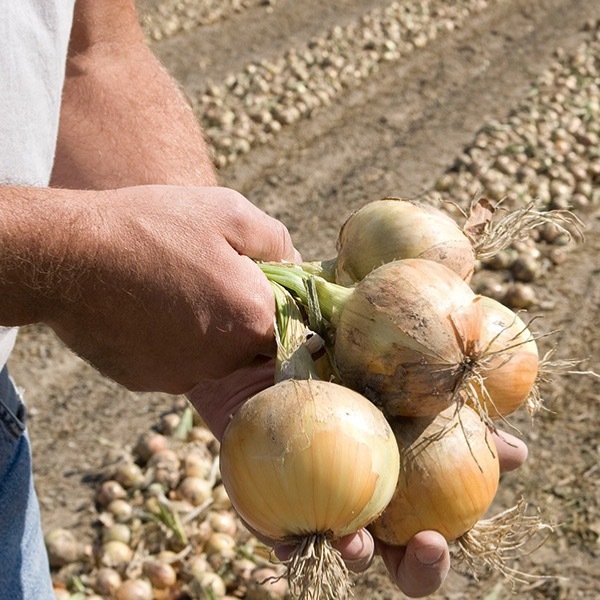 It produces good yields of round bulbs which have good storage potential. Culture: Sow in Modules/Pots in January and plant out in mid march, plant out at the 3 to 4 leaf stage - 6 inches apart all ways, on good fertile ground. 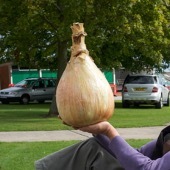 The best clean unmarked onion are grow under cover. To ripen place in a totally dark cool building with lots of forced air on them.